Privacy is important to everyone. Sometimes you just need to concentrate and not be bothered. But, don�t shut people out with walls. Take the option to open your room back up to people when you�re done working. 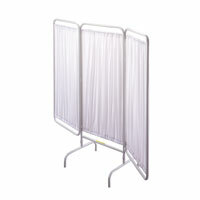 Fabric Privacy Screens and Plastic Panel Dividers give you the privacy you crave in a non-permanent solution. Choose a Privacy Screen on casters that rolls or choose a stationary Privacy Screen without casters. 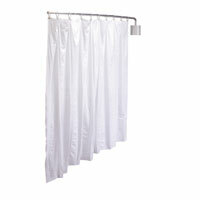 A Telescoping Curtain option can be rolled back out of the way when you�re ready to socialize. 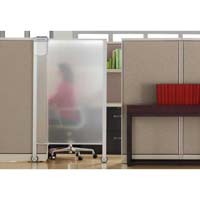 If you're looking for a more solid Room Divider, US Markerboard has a full collection of Solid Room Dividers that fold up for storage and also roll away! Don�t compromise your privacy for socializing. You can have both with a privacy screen today!